Housing, the number one issue in Auckland if not New Zealand and the very issue the Government is extremely exposed on for its half measures (ironically one just came out as I wrote this). Yes the Unitary Plan gives us the tool kit to enable building more housing types to actual demand needed but enabling only goes so far when you also need help in building. By help I mean Government coming to the party with financing bulk and transport infrastructure (bulk = water, sewerage and storm water) and also engaging in a large-scale housing building program to supplement the builds by private sector (note I said supplement not compete). However, there is just more than slapping up a house or five and saying job done. You need to build the right type of houses for what the people want. Are the wrong kind of houses being built in Auckland? Too many of the wrong type of stand-alone, customised houses are being built in Auckland, a professor of construction says. John Tookey, the head of Auckland University of Technology’s (AUT) built environment department, said the free market was not building the kind of homes the city needed. In a report looking at Auckland’s housing market from a construction perspective, Prof Tookey said the push to free-up more land for new housing was simply delivering large and expensive standalone homes. Figures show the median price of Auckland homes sold last month has risen 3 percent on a year earlier to $854,500, and only half of the estimated 14,000 homes needed annually are actually being built. Professor Tookey told Nine to Noon the forced sale of rental housing, and a requirement to build cheaper homes were ways to tackle Auckland’s housing crisis. And he said the shortage and affordability of homes was a social issue, and if the market was not delivering then more compulsion was needed. A lot has been written on the crisis of housing affordability in New Zealand, but not a lot from the perspective of those who build houses. Professor John Tookey is an expert on the construction industry, familiar with the economic and regulatory drivers for building and construction. In this report, he brings this perspective to bear on housing in New Zealand, particularly the housing bubbles in Auckland and Queenstown. His conclusions occasionally cut against conventional wisdom; for example, he downplays the influence of immigration and land supply constraints. Instead, he focuses on what it takes to remain profitable as a builder and what impact this has on which houses are built. The Missing Middle Housing types are the first off the rank development types to fulfil housing demand needs while higher density developments (five storeys and above) work their way through the procurement and planning pipelines. 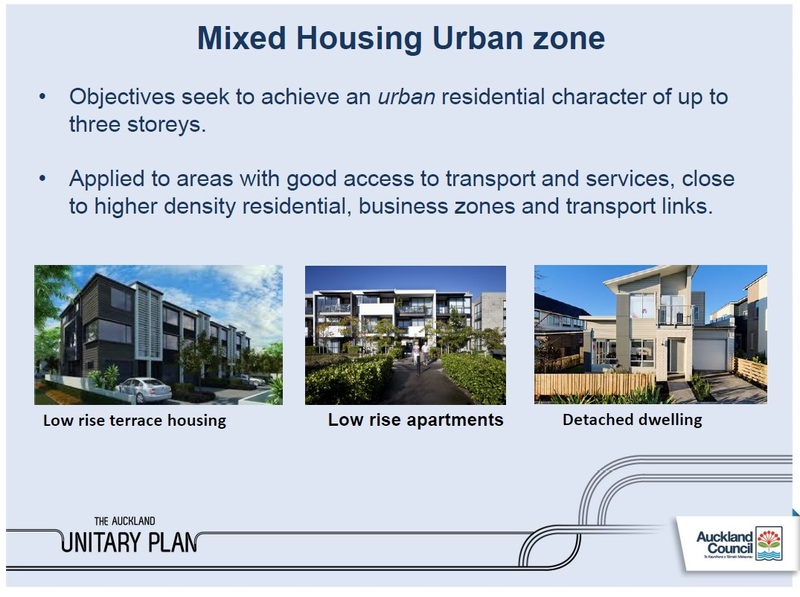 Fortunately the Auckland Unitary Plan is set up and allows for these Missing Middle Housing typologies with the Mixed Housing Urban, and Terraced Housing and Apartment Zones. More specifically the Mixed Housing Urban Zone is in pole position to get the first wave of intensification via the Missing Middle Housing under way. 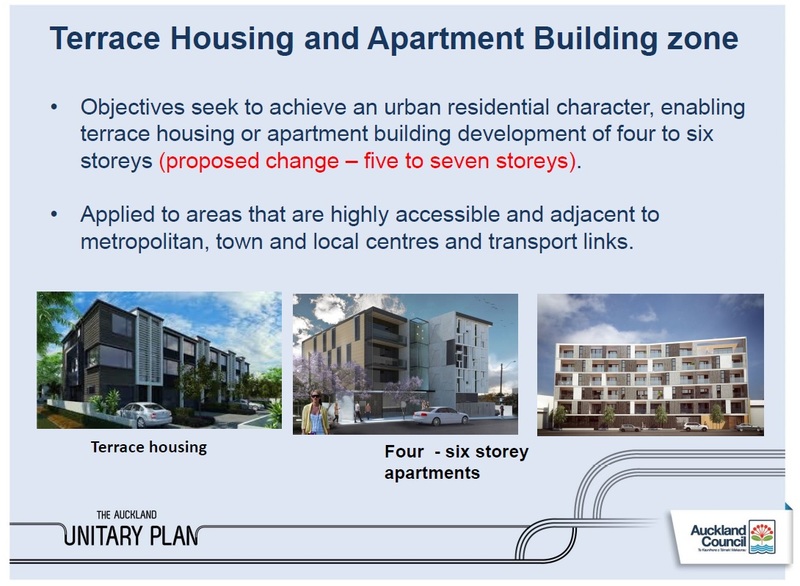 And yes we are seeing this beginning to occur across Auckland with often large sites have their single houses removed, combined into a larger lot and then anywhere between eight to sixteen homes of varied typologies allowed with Mixed Housing Urban zoning being built. There is two examples of this where I live in Papakura North via Housing New Zealand. We have to remember it takes three years to bring a medium-sized development through from plan to house being built and five years for a large one like the Wesley College Special Housing Area. Given the Unitary Plan only went live in part November 2016 I would say developments are making their way through the pipelines. Meaning from next year we should really see a ramp up in developments across the Mixed Urban Housing zone at the minimum and both the Terraced Housing and Apartment Zone and some of the Centres ready for development if we are optimistic. Metro Schools, Pukekohe Electrification, Airport Lines: What is National Doing? Government Announces Housing. Wait WHAT Housing?